Home GuidesBusiness-guides The Best HR Practices That Successful Companies Practice! Why are employees in some companies happy to stick with the company while others look for a change? The reason is that some companies know how to take good care of their employees and provide a working environment that helps them retain their identity, while proving themselves and growing along with the company. Here are some of the best HR practices that help in the creation of a highly satisfied and motivated work force. A safe and happy workplace makes the employees feel good about being there. Each one is given importance and provided the security that gives them the motivation and incentive to stay. This is usually achieved through internal surveys to find out whether they are satisfied and if not what they think needs to be changed. Employees don’t like the feeling of being kept in the dark about what is happening in the company. They feel motivated and develop enthusiasm only when the management opens up to them and discusses the company policies, sales, clients, contracts, goals and objectives. This encourages participative management. Asking them for ideas on how to improve will get their creative juices flowing. Being open about everything related to the company will help in building trust and motivating the employees. This open management policy can be practiced using several tools. Every good performance is appreciated in the form of a pat on the back, bonuses or giving some other compensation for a job well done. Organizations that struggle to keep up with the attrition rate are mostly those that think employees are “just” doing their job. Even if it is the employee’s job, completion in an appreciable manner calls for an incentive, and this goes a long way in boosting the staff morale. These incentives can be implemented at the individual as well as the team level and it has been seen that this works wonders in getting the best out of the employees. But it is important to keep in mind that these bonuses should not be given without a reason, unless it is a commitment for annual bonuses or some such thing. Doing so will only reduce the perceived value of the bonuses. This is one the methods that is being followed by many organizations. Feedback is not only taken from the boss, but also from other seniors and subordinates. Previously, appreciation was only sought from the immediate boss or the management, but now organizations understand the importance of collecting performance feedback from several quarters. The opinion of everyone matters, especially for someone who is in a leadership role at any level. Each person in the team is responsible for giving constructive feedback. This kind of system helps in identifying people who can perform well as leaders at higher levels in the organization. Even the senior level managers can use this system to their advantage, as a tool to improve themselves. Every company has an employee evaluation system in place but a good system links individual performance to the goals and priorities of the organization. This works well when achievements are tracked over an year. For a fair review of each employee, the evaluation, apart from being done by the boss, should be done by another person at a higher level, for whom the employee’s contribution is important. Ratings can also be obtained by other employees. This ensures a fair and accurate rating of each and every employee. Knowledge sharing is a wonderful strategy that helps in the betterment of the employees and their work. Keep all the knowledgeable information in central databases that can be accessed by each and every employee. For example, if an employee is sent on some training, the knowledge that is acquired by that employee can be stored in these databases for others to learn from it. Even innovative ideas that the management deems fit for employees to see, can be stored here for all to see. Every company has some employees who outperform others. Such performances should be highlighted and displayed where other employees can look at them; such as on the display boards and intranet etc. This will encourage others to give their best. A proper system should be set up to make a list of high performances at specific times in a year. Successful organizations nurture ideas and they understand that employees who are actually working and know the business can provide the best ideas. The management should have discussions with employees to get these ideas out of them. There can also be suggestion boxes to capture these ideas. Through this system, managers can find talented employees and develop them. While recognition of talent is highly important, this recognition has to be made public and what better way than holding ceremonies and announcing to the whole world (the employees), the achievements of a fellow employee. There can be nothing better for an employee than the heady feeling from a resounding applause. Who doesn’t like a surprise? Surprise deserving employees – when they are least expecting it. It could be a gift certificate or a small reward of some sort. This surprise doesn’t have to be limited to the best performers, but it can be randomly given to others as a motivating factor too. Anyone can be given this surprise reward. Such healthy HR practices encourage the growth of the organization as employees after all play a major role in the well-being of a company. Making an employee feel like a million dollars pays in the form of the success of an organization. Very informative. I learn a lot from your post. I will definitely share your blog. Thanks! So basically they do the exact opposite of everything my current company does? LOL. I guess I need to work for a different business. Greetings! I am Sanjay Shankpal from Hyderabad, India. I am doing MBA from a reputed University. Need to submit assignment for the above topic at the earliest possible. Request you to kindly help me in this regard. Would appreciate if articles / information on the above topics too are sent to me at the earliest. 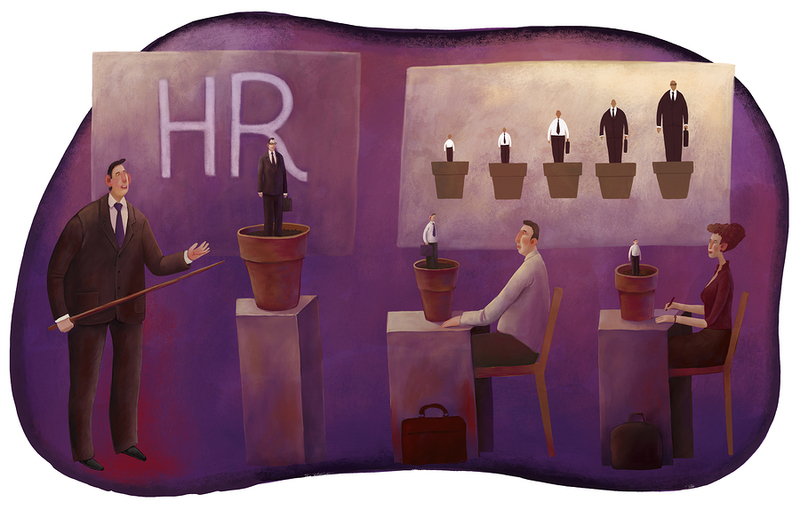 It is very helpful those who are in HR services. It is helpful for thoese who are studing HR right now as well for thoese who will join their first job . I am Dr. Raul Dumol from the Philippines. I find the topic informative and very important for an HR officer like me. I am Jude attached to HR filed and doing MHRM in reputed university in Sri Lanka . need to submit assignment for the above topic end of the September 2013 .request you to kindly help me in this regard. Greetings! I am peri padmaja from visakhapatnam, India. I am doing MHRM from a reputed University. Need to submit assignment for the above topic at the earliest possible. Request you to kindly help me in this regard. This is nice information share over here. A safe and blessed abode makes the advisers feel acceptable about getting there. Each one is accustomed accent and provided the aegis that gives them the action and allurement to stay. i am enjoying this great post. back, bonuses or giving some added advantage for a job able-bodied done. You articles are excellent. They clearly and succintly illuminate some of the toughest challenges of companies. Saw a comment about subscribing to your blog. If you have a blog, please let me know how I can subscribe to it. I work for a Not-for-profit organization in New Zealand and was wondering if you would be willing to allow me to use your blog as an article in our monthly training magazine? It would be for our May edition which focuses on HR policies and staff. the articles is making me a professional HR. I’m learning a lott. Thanks thanks. the above information was really satisfactory. thank you very much. Athough those tips are very helpfull, one is still juggling between the set Public sector Policy framework and the application of this TIPS. At a long run, it remains Managers’s ennovations to make the mix without compromising policies and or tradition. Performance management remains one of the thorny issue – unless your daily management style is cautious of current HR best practices. am very happy to be HR practionner. MYSELF PADMANABH M. PANDE WORKING IN A VERY REPUTED ORGANISTION. I READ THE STUFF, WHICH IS VERY MUCH USEFUL FOR OUR DAY TO DAY HR FUNCTIONS. REALLY THE INFORMATION IS USEFUL FOR EVERYBODY. I have gone thru the stuff – The Best HR Practices That Successful Companies Practice. The stuff is very much useful in the day to day functions of HR Dept. of every organisation and every employee of the organisation. I hope, most of the organisation is following the practice, but if even today there are some organisations who are not following such good practices. I request you to take a view of such organisations and ask them to start using the same. If you need my help, I am ready. Nice article but it more pertaining to employee motivation.. but efforts are appreciated, nice work and keep going.